Romantic & beautiful Jewelry for your special day! 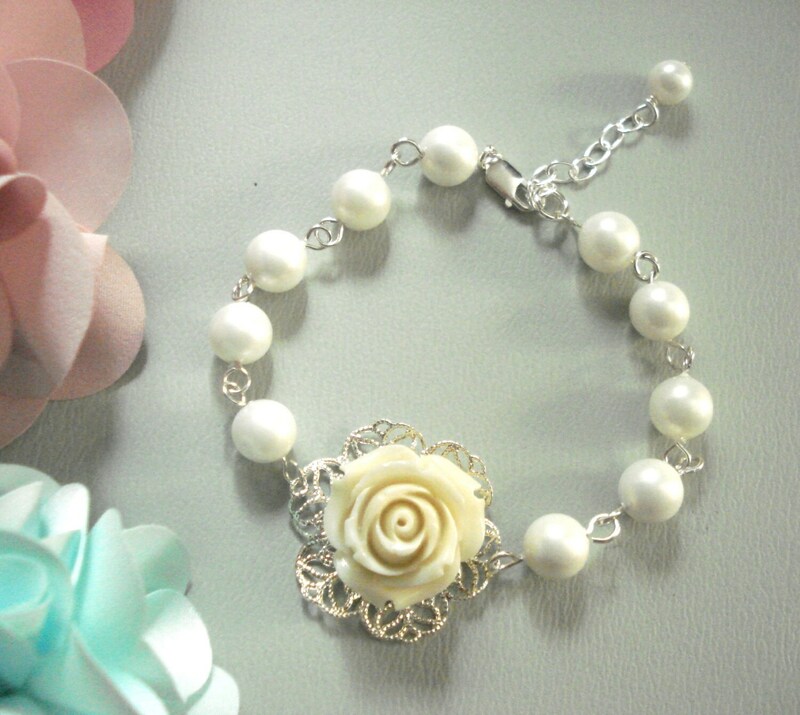 ~~~~The matching bracelet is made with 8mm white shell pearls, reconstituted carved white coral rose floral measures 20mm on a 28mm silver plated filigree base. 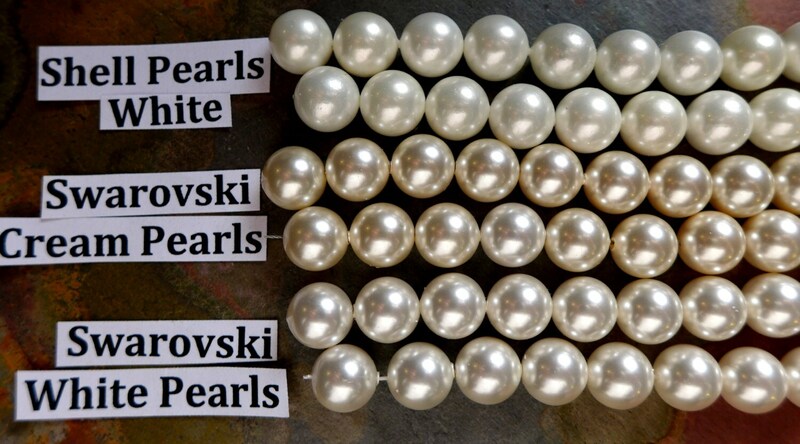 we also added a sterling silver cable chain between pearls. This pretty bracelet measures 7" plus 1-1/2 inch extender & finished with a sterling silver lobster clasp. It can be custom sized upon request. 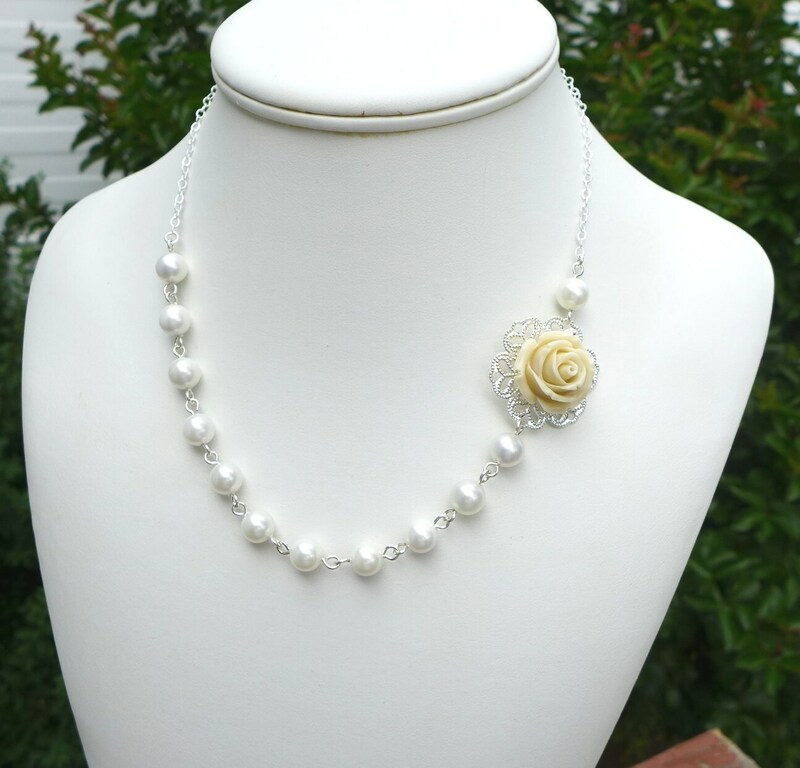 Available: We created these beautiful & elegant jewelry set with 8mm lustrous white shell pearls. 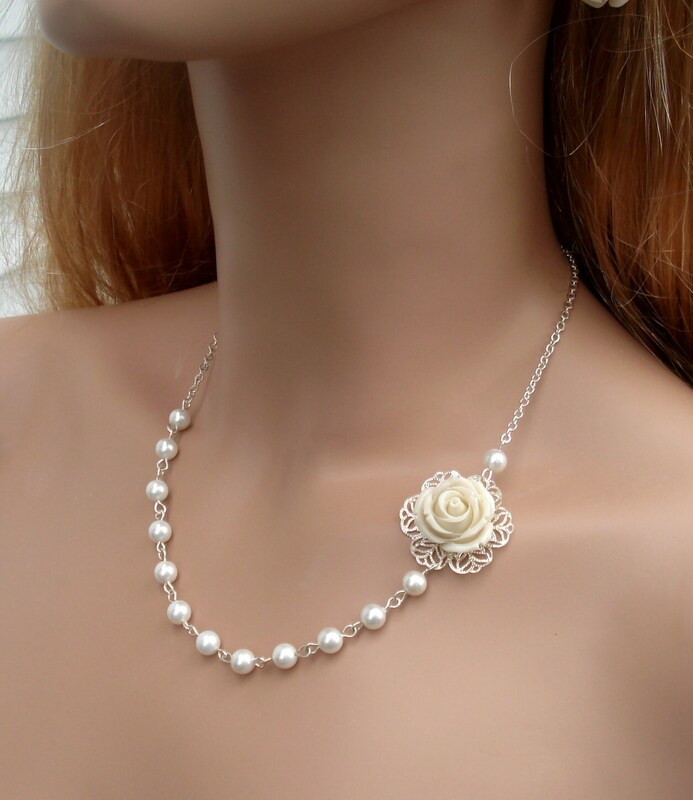 The Ivory/cream color reconstituted coral rose floral measures 21mm on a 28mm silver plated filigree floral base (slightly under 1 inch, 1-1/16" in with filigree) adds ultra feminine touch. we also added a sterling silver chain between pearls and finished with a .925 sterling silver spring clasp. 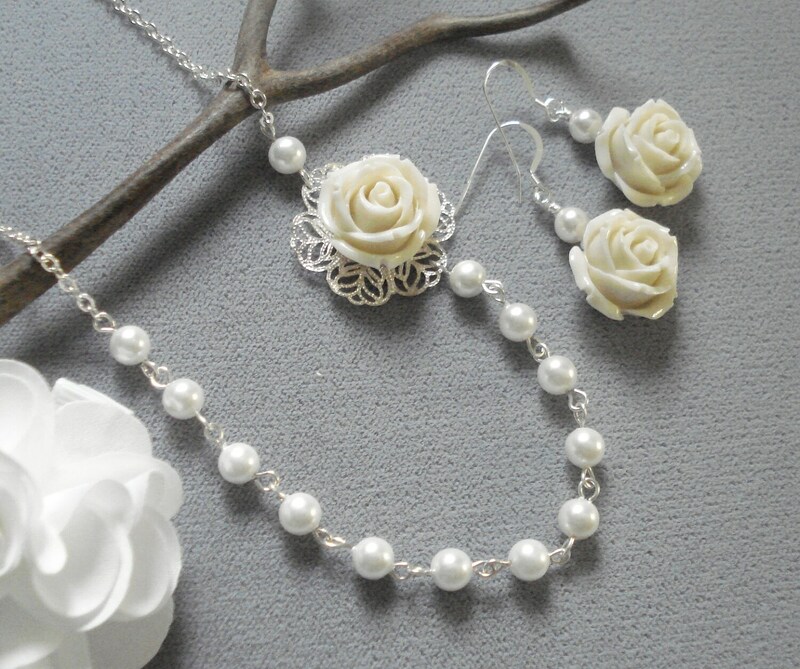 Available: These beautiful matching earrings are made to compliment the necklace and are made with 21mm ivory/cream color reconstituted coral rose floral, 6mm white shell pearls. which dangle 1-3/16" from sterling silver earwires.